Born in Paris in 1961, Henry Bismuth came from a family of medical doctors, and it was understood from a young age that he would undertake medical studies. In 1986, at the end of his next to final year of study, Henry Bismuth left medical school realizing that medicine was not his path. He then dedicated his life to his passion; painting and drawing. From then to 1988, he studied art extensively on his own; discovering different artistic traditions and pictorial worlds. It was during this period that his life was forever changed, impacted by great American painters: John Singer Sargent, Thomas Eakins, Robert Henri, Georgia O’Keeffe, Willem de Kooning, Franz Kline, Robert Motherwell, and Andrew Wyeth. 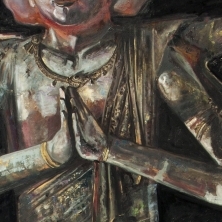 Exploring new mediums and influences from East and West alike, he was later exhibited in galleries and museums the world around. For the last few years, he commuted between Paris and New York City, and his focus became less on painting than on conceptualization. His work has been undergoing a major shift, and we now see an emergence of the combination of painterly conceptual and poetic maneuvering that began shaping his process as of late. 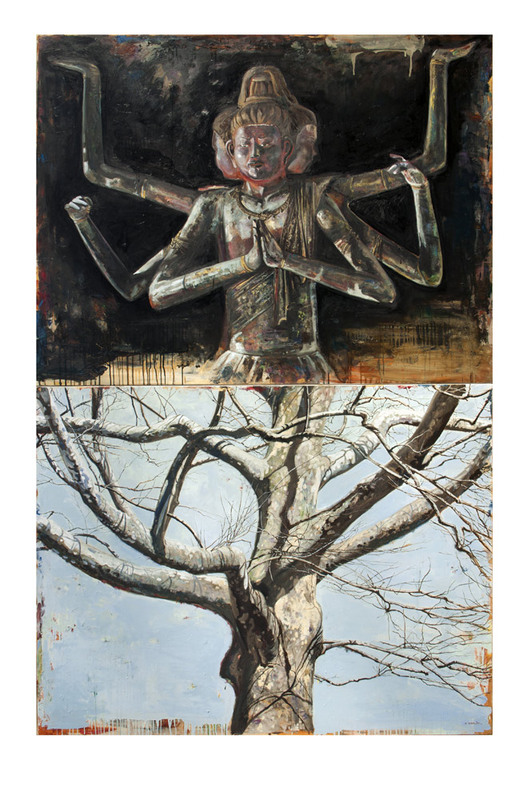 In 2009, Henry started to exhibit his paintings with Gerald Peters Gallery in Santa Fe, New Mexico. By the end of that year, he had had thirty-five group shows at museums in the United States; and in Winter of 2010, he exhibited at “Arts for a Better World,” at Art Basel Miami.